My research career over last 10 years has been strongly based on cutting-edge research on contamination risk assessment and remediation. I conducted my Ph.D. research at the Centre for Environmental Risk Assessment and Remediation (CERAR), University of South Australia, on the bioavailability and bioremediation of mixed contaminants. My Ph.D. research outcome demonstrated that chemicals in contaminated sites occur as mixtures rather than single contaminants which had been the previous assumption for several decades. Through my special focus on long-term contaminated soils, I demonstrated that mixtures such as PAHs and metals are more toxic and bioavailable than when they occur as single contaminants. End-user-driven research has remained the enduring strength of my research career following doctorate. On completion of Ph.D., I took up a research-only position to assess and manage chemical contamination such as petroleum hydrocarbons and heavy metals in mining and other industry sites. I played a pivotal role, in our team, in developing and implementation of several costs effective, innovative, green remediation technologies on the field for the rehabilitation of chemical contamination in mine sites. Our team was instrumental in the first ever field level implementation of Risk Based Land Management (RBLM) approach to manage weathered hydrocarbon contaminated sites in Australia. RBLM defines that the site is deemed to be contaminated only if it poses a risk to local receptors. It has huge implications for future risk assessment and management of long-term contaminated soils. My current and future research focus is on adding new dimensions in ecological and human health risk assessment and remediation. My ongoing research on human health risk assessment targets the role of contaminant metabolites in human health, which haven't been understood very well so far. I use in-vitro and in vivo animal models to delineate the role played by contaminant metabolites. I have established a strong national and international collaborations on this research focus. Two of my publications on this work is under review and seeking more funding to continue the work. My ongoing research work on advanced ecological risk assessment is about Microplastics as a vector for contaminant transport. Microplastics is a rapidly emerging contaminant of global concern. I first introduced this new theme research in the University of Newcastle and now my team is the largest in Australia. I work on developing a new knowledge on the risk assessment of microplastics and lay the foundation for regulatory guidelines.Our team is has established some strong, elite international collaboration to address this emerging challenge. My ongoing research outputs based on microplastics could help us better assess and manage plastic pollution issue in Australia and the world. To deliver the outstanding outputs and solutions, currently seeking funding support from several funding agencies. On remediation aspect, I continue my work on understanding the microbial role in the reclamation of derelict mine sites and managing chemical contaminants inactive industrial sites. 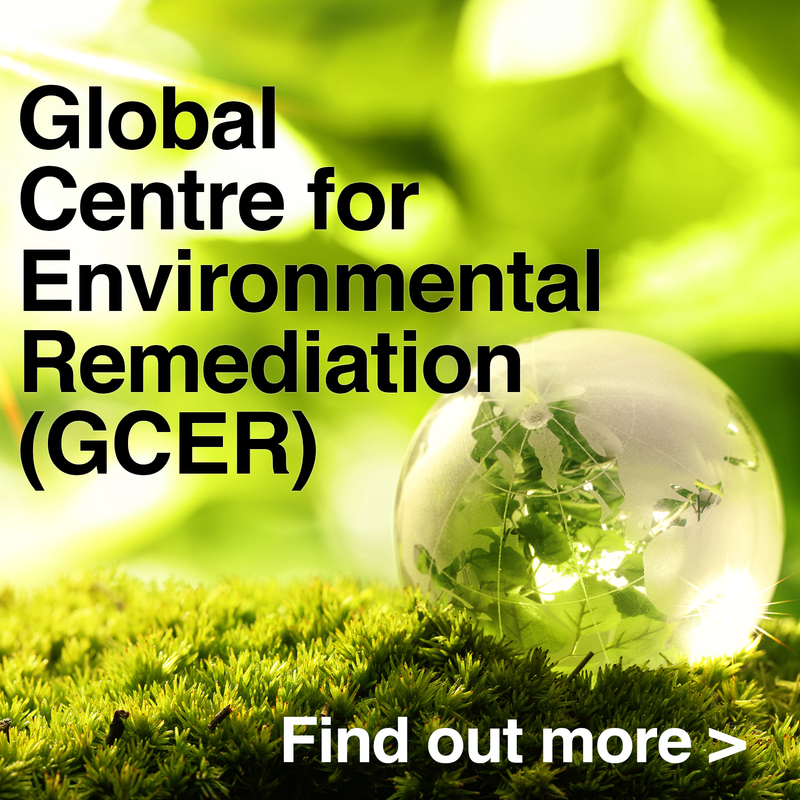 I have a significant expertise in developing custom made green remediation technologies for complex contaminants. © 2017, Springer-Verlag GmbH Germany. Chromium from tannery waste dump site causes significant environmental pollution affecting surrounding flora and fauna. The primary aims of this study were to survey vegetation, investigate the degree of soil pollution occurring near tannery waste dump site and make a systematic evaluation of soil contamination based on the chromium levels found in plants and earthworms from the impacted areas. This paper presents the pollution load of toxic heavy metals, and especially chromium, in 10 soil samples and 12 species of plants. Soil samples were analysed for heavy metals by using ICP-MS/ICP-OES method. Results indicated that Cr in soils exceeded soil quality guideline limits (SQGL). The total chromium present in the above ground parts of plants ranged from 1.7¿mg¿kg-1 in Casuarina sp.¿to 1007¿mg¿kg-1 in Sonchus asper. The Cr bioaccumulation in Eisenia fetida from tannery waste soil ranged from 5 to 194¿mg¿kg-1. The high enrichment factor of Cr in S. asper and bioaccumulation factor in earthworms indicate that there is a steady increase of toxic chromium risk in this area, which could be correlated with the past dumping activity. Emphasis needs to be put on control measures of pollution and remediation techniques in such areas to achieve an ecologically sustainable industrialisation. © 2016, Springer Science+Business Media Dordrecht. Microalgae are extensively used in the remediation of heavy metals like iron. However, factors like toxicity, bioavailability and iron speciation play a major role in its removal by microalgae. Thus, in this study, toxicity of three different iron salts (FeSO4, FeCl3and Fe(NO3)3) was evaluated towards three soil microalgal isolates, Chlorella sp. MM3, Chlamydomonas sp. MM7 and Chlorococcum sp. MM11. Interestingly, all the three iron salts gave different EC50 concentrations; however, ferric nitrate was found to be significantly more toxic followed by ferrous sulphate and ferric chloride. The EC50analysis revealed that Chlorella sp. was significantly resistant to iron compared to other microalgae. However, almost 900¿µg¿g-1iron was accumulated by Chlamydomonas sp. grown with 12¿mg¿L-1ferric nitrate as an iron source when compared to other algae and iron salts. The time-course bioaccumulation confirmed that all the three microalgae adsorb the ferric salts such as ferric nitrate and ferric chloride more rapidly than ferrous salt, whereas intracellular accumulation was found to be rapid for ferrous salts. However, the amount of iron accumulated or adsorbed by algae, irrespective of species, from ferrous sulphate medium is comparatively lower than ferric chloride and ferric nitrate medium. The Fourier transform infrared spectroscopy (FTIR) analysis shows that the oxygen atom and P = O group of polysaccharides present in the cell wall of algae played a major role in the bioaccumulation of iron ions by algae. © 2016 Springer International Publishing. The efficiency of low-cost, abundantly available local forestry waste, oak (Quercus robur) acorn peel (OP), to remove toxic Cr(VI) from aqueous solutions was studied in a batch system as a function of contact time, adsorbate concentration, adsorbent dosage, and pH. In an equilibrium time of 420 min, the maximum Cr removal by OP at pH 2 and 10 was 100 and 97 %, respectively. The sorption data fitted well with Langmuir adsorption model. Evaluation using Langmuir expression presented a monolayer sorption capacity of 47.39 mg g-1 with an equilibrium sorbent dose of 5 g L-1 and pH 7. Uptake of Cr by OP was described by pseudo-second-order chemisorption model. ICP-OES, LC-ICPMS analysis of the aqueous and solid phases revealed that the mechanism of Cr(VI) removal is by &apos;integrated adsorption and reduction&apos; mechanism. ESEM-EDX and XRD analysis of OP before and after adsorption also confirmed that both adsorption and reduction of Cr(VI) to less toxic Cr3+ forms followed by complexation onto the adsorbent surface contributed to the removal of Cr(VI). Consistent with batch studies, OP effectively removed (>95 %) Cr from the real water samples collected from lake and sea. The results of this study illustrate that OP could be an economical, green, and effective biomaterial for Cr(VI) removal from natural aquatic ecosystems and industrial effluents. © 2016 Elsevier B.V.. Diversity, distribution and composition of bacterial community of soils contaminated long-term with both polycyclic aromatic hydrocarbons (PAHs) and heavy metals were explored for the first time following 454 pyrosequencing. Strikingly, the complete picture of the Gram positive (+ve) and Gram negative (-ve) bacterial profile obtained in our study illustrates novel postulates that include: (1) Metal-tolerant and PAH-degrading Gram -ves belonging to the class Alphaproteobacteria persist relatively more in the real contaminated sites compared to Gram +ves, (2) Gram +ves are not always resistant to heavy metal toxicity, (3) Stenotrophomonas followed by Burkholderia and Pseudomonas are the dominant genera of PAH degraders with high metabolic activity in long-term contaminated soils, (4) Actinobacteria is the predominant group among the Gram +ves in soils contaminated with high molecular weight PAHs that co-exist with toxic heavy metals like Pb, Cu and Zn, (5) Microbial communities are nutrient-driven in natural environments and (6) Catabolically potential Gram +/-ves with diverse applicability to remediate the real contaminated sites evolve eventually in the historically-polluted soils. Thus, the most promising indigenous Gram +/-ve strains from the long-term contaminated sites with increased catabolic potential, enzymatic activity and metal tolerance need to be harnessed for mixed contaminant cleanups. © 2015 Elsevier B.V. Complementary medicines have associated risks which include toxic heavy metal(loid) and pesticide contamination. The objective of this study was to examine the speciation and bioavailability of lead (Pb) in selected complementary medicines. Six herbal and six ayurvedic medicines were analysed for: (i) total heavy metal(loid) contents including arsenic (As), cadmium (Cd), Pb and mercury (Hg); (ii) speciation of Pb using sequential fractionation and extended x-ray absorption fine structure (EXAFS) techniques; and (iii) bioavailability of Pb using a physiologically-based in vitro extraction test (PBET). The daily intake of Pb through the uptake of these medicines was compared with the safety guidelines for Pb. The results indicated that generally ayurvedic medicines contained higher levels of heavy metal(loid)s than herbal medicines with the amount of Pb much higher than the other metal(loid)s. Sequential fractionation indicated that while organic-bound Pb species dominated the herbal medicines, inorganic-bound Pb species dominated the ayurvedic medicines. EXAFS data indicated the presence of various Pb species in ayurvedic medicines. This implies that Pb is derived from plant uptake and inorganic mineral input in herbal and ayurvedic medicines, respectively. Bioavailability of Pb was higher in ayurvedic than herbal medicines, indicating that Pb added as a mineral therapeutic input is more bioavailable than that derived from plant uptake. There was a positive relationship between soluble Pb fraction and bioavailability indicating that solubility is an important factor controlling bioavailability. The daily intake values for Pb as estimated by total and bioavailable metal(loid) contents are likely to exceed the safe threshold level in certain ayurvedic medicines. This research demonstrated that Pb toxicity is likely to result from the regular intake of these medicines which requires further investigation. © 2015 Elsevier B.V. Since crude oil contamination is one of the biggest environmental concerns, its removal from contaminated sites is of interest for both researchers and industries. In situ bioremediation is a promising technique for decreasing or even eliminating crude oil and hydrocarbon contamination. However, since these compounds are potentially toxic for many microorganisms, high loads of contamination can inhibit the microbial community and therefore reduce the removal rate. Therefore, any strategy with the ability to increase the microbial population in such circumstances can be of promise in improving the remediation process. In this study, multiwall carbon nanotubes were employed to support microbial growth in sediments contaminated with crude oil. Following spiking of fresh water sediments with different concentrations of crude oil alone and in a mixture with carbon nanotubes for 30. days, the microbial profiles in these sediments were obtained using FLX-pyrosequencing. Next, the ratios of each member of the microbial population in these sediments were compared with those values in the untreated control sediment. This study showed that combination of crude oil and carbon nanotubes can increase the diversity of the total microbial population. Furthermore, these treatments could increase the ratios of several microorganisms that are known to be effective in the degradation of hydrocarbons. © 2016 American Institute of Chemical Engineers Soils contaminated with crude oil are rich sources of enzymes suitable for both degradation of hydrocarbons through bioremediation processes and improvement of crude oil during its refining steps. Due to the long term selection, crude oil fields are unique environments for the identificati on of microorganisms with the ability to produce these enzymes. In this metagenomic study, based on Hiseq Illumina sequencing of samples obtained from a crude oil field and analysis of data on MG-RAST, Actinomycetales (9.8%) were found to be the dominant microorganisms, followed by Rhizobiales (3.3%). Furthermore, several functional genes were found in this study, mostly belong to Actinobacteria (12.35%), which have a role in the metabolism of aliphatic and aromatic hydrocarbons (2.51%), desulfurization (0.03%), element shortage (5.6%), and resistance to heavy metals (1.1%). This information will be useful for assisting in the application of microorganisms in the removal of hydrocarbon contamination and/or for improving the quality of crude oil. © 2016 American Institute of Chemical Engineers Biotechnol. Prog., 32:638¿648, 2016. © 2016, Springer Science+Business Media Dordrecht. The lack of awareness for timely management of the environment surrounding a metal mine site results in several adverse consequences such as rampant business losses, abandoning the bread-earning mining industry, domestic instability and rise in ghost towns, increased environmental pollution, and indirect long-term impacts on the ecosystem. Although several abandoned mine lands (AMLs) exist globally, information on these derelict mines has not been consolidated in the literature. We present here the state-of-the-art on AMLs in major mining countries with emphasis on their impact towards soil health and biodiversity, remediation methods, and laws governing management of mined sites. While reclamation of metalliferous mines by phytoremediation is still a suitable option, there exist several limitations for its implementation. However, many issues of phytoremediation at the derelict mines can be resolved following phytostabilization, a technology that is effective also at the modern operational mine sites. The use of transgenic plant species in phytoremediation of metals in contaminated sites is also gaining momentum. In any case, monitoring and efficacy testing for bioremediation of mined sites is essential. The approaches for reclamation of metalliferous mines such as environmental awareness, effective planning and assessment of pre- and post-mining activities, implementation of regulations, and a safe and good use of phytostabilizers among the native plants for revegetation and ecological restoration are discussed in detail in the present review. We also suggest the use of microbially-enhanced phytoremediation and nanotechnology for efficient reclamation of AMLs, and identify future work warranted in this area of research. Further, we believe that the integration of science of remediation with mining policies and regulations is a reliable option which when executed can virtually balance economic development and environmental destruction for safer future. © 2015 Springer International Publishing Switzerland. Treatability studies in real contaminated soils are essential to predict the feasibility of microbial consortium augmentation for field-scale bioremediation of contaminated sites. In this study, the biodegradation of a mixture of seven PAHs in a manufactured gas plant (MGP) soil contaminated with 3967 mg kg-1of total PAHs using novel acid-, metal-tolerant, N-fixing, P-solubilizing, and biosurfactant-producing LMW and HMW PAH-degrading bacterial combinations as inoculums was compared in slurry- and solid-phase microcosms over natural attenuation. Bioaugmentation of 5 % of bacterial consortia A and N in slurry- and solid-phase systems enhanced 4.6-5.7 and 9.3-10.7 % of total PAH degradation, respectively, over natural attenuation. Occurrence of 62.7-88 % of PAH biodegradation during natural attenuation in soil and slurry illustrated the accelerated rate of intrinsic metabolic activity of the autochthonous microbial community in the selected MGP soil. Monitoring of the total microbial activity and population of PAH degraders revealed that the observed biodegradation trend in MGP soil resulted from microbial mineralization. In the slurry, higher biodegradation rate constant (k) and lower half-life values (t1/2) was observed during bioaugmentation with consortium N, highlighting the use of bioaugmentation in bioslurries/bioreactor to achieve rapid and efficient bioremediation compared to that of a static solid system. In general, natural attenuation was on par with bioaugmentation. Hence, depending on the type of soil, natural attenuation might outweigh bioaugmentation and a careful investigation using laboratory treatability studies are highly recommended before the upscale of a developed bioremediation strategy to field level. © 2016 Elsevier B.V. Dearth of high molecular weight contaminant degradation, pH tolerance and growth limiting nutrient assimilation potentials of the selected microorganisms are some of the prime factors reasonable for the failures in field-scale bioremediation of PAHs contaminated soils. Hence an effort was made in this study for the first time to identify HMW PAHs degrading, N-fixing and P-solubilizing bacteria with pH tolerance from long-term manufactured gas plant site soils. Four distinct strains that could degrade both LMW and HMW PAHs were identified. Among the isolates, Stenotrophomonas (MTS-2) followed by Citrobacter (MTS-3) and Pseudomonas (MTS-1) were furthermost effective in the degradation of HMW PAHs either as individual or in the presence of co-substrate (LMW PAHs). MTS-1, 2 and 3 (co)degraded model LMW PAHs, Phe (100% of 150 mg L-1) and HMW PAHs Pyr (100% of 150 mg L-1) or BaP (90¿100% of 50 mg L-1) in 3, 12¿15 and 30 days, respectively and recorded the least half-life time (t1/2) and highest biodegradation rate constants (k). One of the significant findings is the diazotrophic P-solubilization ability, acid and alkali tolerance (optimum pH=5.0¿8.0) of the HMW PAHs degrading Pseudomonas strain MTS-1. Stenotrophomonas (MTS-2) was also found to be superior as it could solubilize P and tolerate acidic condition (optimum pH=5.0¿7.5) during HMW PAHs degradation. Further, our study is the first evidence of diazotrophic P solubilization potential of Agrobacterium (MTS-4) and P-solubilizing capacity of Citrobacter (MTS-3) during bioremediation. Thus, the results of this study demonstrate the promising use of the newly identified PAH degraders, notably MTS-1, 2 and 3 either as individuals or as consortia as an excellent candidate in the bioremediation or phytoremediation of PAHs contaminated soils. © 2016 The Institution of Chemical Engineers. The present study describes for the first time the utilization of dried twigs of Melaleuca diosmifolia, fallen off from the plant, to detoxify and remove hexavalent chromium or Cr(VI) from aqueous systems. Initial characterization by gas chromatography revealed that the selected biomaterial is one of the natural sources of eucalyptol. It constituted high concentrations of reducing compounds (iron, phenols and flavonoids). Batch studies revealed that the biosorbent (5 g L-1) was able to remove 97-99.9% of 250 mg L-1 Cr(VI) at wide-ranging pH (2-10) and temperature (24-48 °C). Adsorption kinetics was well described using the pseudo-second-order kinetic model, while the equilibrium adsorption data were interpreted in terms of the Langmuir isotherm model. The monolayer adsorption capacity was 62.5 mg g-1. Both inductively coupled plasma optical emission spectrometry and liquid chromatography analyses of the aqueous and solid phases revealed that the mechanism of Cr(VI) removal was &apos;adsorption-coupled reduction&apos;. Scanning electron microscope, infrared spectroscopy and X-ray diffraction analyses of the biosorbent before and after adsorption also confirmed that both adsorption and reduction of Cr(VI) to Cr(III) followed by complexation onto functional groups of the active surface contributed to the removal of Cr(VI) from aqueous solution. The selected biomaterial effectively (99.9%) removed Cr(VI) in lake and sea water samples, highlighting its potential for remediating Cr(VI) in real environmental conditions. © 2016 Elsevier Ltd An isolate of Cupriavidus (strain MTS-7) was identified from a long-term PAHs and heavy metals mixed contaminated soil with the potential to biodegrade both LMW and HMW PAHs with added unique traits of acid and alkali tolerance, heavy metal tolerance, self-nutrient assimilation by N fixation and P solubilization. This strain completely degraded the model 3 (150¿mg¿L-1 Phe), 4 (150¿mg¿L-1 Pyr) and 5 (50¿mg¿L-1 BaP) ring PAHs in 4, 20 and 30 days, respectively. It could mineralize 90¿100% of PAHs (200¿mg¿L-1 of Phe and Pyr) within 15 days across pH ranging from 5 to 8 and even in the presence of toxic metal contaminations. During biodegradation, the minimum inhibitory concentrations were 5 (Cu2+) and 3 (Cd2+, Pb2+, Zn2+) mg L-1 of the potentially bioavailable metal ions and over 17¿mg¿L-1 metal levels was lethal for the microbe. Further, it could fix 217¿274¿µg¿mL-1 of N and solubilize 79¿135¿µg¿mL-1 of P while PAHs degradation. MTS-7 as a superior candidate could be thus used in the enhanced bioaugmentation and/or phytoremediation of long-term mixed contaminated sites. © 2016 Elsevier Ltd We reported the Australian golden wattle as a copper stabilizer in abandoned copper mine soils earlier. Here we investigate to confirm this plant&apos;s suitability to grow on metal contaminated mine soils based on stress indication. The seeds of Acacia pycnantha collected from mining area were germinated after heat and no heat treatment on two types of irrigation. The daily irrigated and heat treated seeds gave up to 85% germination on sandy soil. The A. pycnantha was grown under greenhouse condition in six different soils collected from abandoned copper mine at Kapunda in South Australia. Among the six soil samples, soil-1 with the highest copper concentration produced 2.05 mmol g-1 tissue of proline. Proline expression was prominent in more saline soils (1, 5 and 6) having electrical conductivity (EC) 1184, 1364 and 1256 µS, respectively. Chlorophyll a, b and carotenoid levels in plants showed a gradually decreasing trend in all the soils as experiment progressed. The plants grown on soil sample-1, containing 4083 ± 103 mg kg-1 of copper resulted in 18 ± 2 mg kg-1 accumulation in its leaf. The calcium accumulation was significant up to 11648 ± 1209 mg kg-1 in leaf. Although pore water samples showed higher Cu concentration in soils, an increased mobility of arsenic and lead was observed in all the soil samples. Our experiment points out the need for proper monitoring of revegetation processes to avoid revegetation and reclamation failure. © 2015 Elsevier Ltd. &apos;Biochar&apos; represents an emerging technology that is increasingly being recognized for its potential role in carbon sequestration, reducing greenhouse gas emissions, waste management, renewable energy, soil improvement, crop productivity enhancement and environmental remediation. Published reviews have so far focused mainly on the above listed agronomic and environmental benefits of applying biochar, yet paid little or no attention to its harmful effects on the ecological system. This review highlights a balanced overview of the advantages and disadvantages of the pyrolysis process of biochar production, end-product quality and the benefits versus drawbacks of biochar on: (a) soil geochemistry and albedo, (b) microflora and fauna, (c) agrochemicals, (d) greenhouse gas efflux, (e) nutrients, (f) crop yield, and (g) contaminants (organic and inorganic). Future research should focus more on the unintended long-term consequences of biochar on biological organisms and their processes in the soil. © 2015 Elsevier Ltd. Field-scale bioremediation of PAHs contaminated soils have proved to be difficult and challenging due to inhibited growth of PAH degrading microbes. In this study, for the first time mixed bacterial cultures designated as consortia-A and N were developed using elite metal or acid tolerant, N-fixing, P-solubilizing and biosurfactant producing PAH degraders enriched from manufactured gas plant sites. The two consortia could degrade both LMW and HMW PAHs. Kinetic studies of PAH degradation by the consortia showed the highest biodegradation rate constants (k = 0.027-0.61 day-1) and lowest half-life time (t1/2 = 1-26 days) values reported to date in liquid cultures and highlighted the use of consortium-A for the remediation of acidic soils due to its tolerance up to pH 5. Furthermore, bioaugmentation of these consortia has proven to be effective in degradation of LMW (>95%) and HMW (90%) PAHs from spiked soil slurries. Amendment of consortia-A and N exhibited 10.7 and 44.3% more total PAHs degradation, respectively than natural attenuation in 60 days even from the real long-term mixed contaminated soils. Thus the results of this study demonstrate the great potential of these novel bacterial consortia, particularly consortium-N for use in field-scale bioremediation of PAHs in long-term mixed contaminated neutral soils. © 2016 The Korean Society of Industrial and Engineering Chemistry.The potential of dried twigs of Melaleuca diosmifolia as a novel biosorbent for removing three cationic dyes, methylene blue (MB), acridine orange (AO) and malachite green (MG), and an anionic dye, eriochrome black T (EB) was evaluated in a batch adsorption process. Notably, the biosorbent removed 77-99% of both cationic and anionic dyes in a wide ranging pH of 2-10, and the reactions were endothermic. The dye adsorption equilibria were rapidly attained within 3 h. The monolayer adsorption capacity of the sorbent added at 5 g L-1 was 119.05, 126.8, 116.28 and 94.34 mg g-1 for MB, AO, MG and EB, respectively. The water extract obtained from the plant material induced fast decolourization of both categories of dyes followed by gradual flocculation, indicating its potential as a natural coagulant. Gas chromatographic analysis also indicated that the main electrostatic attraction between 1,8-cineole, 1-p-methene-8-thiol and furfural compounds of the biomaterial, and dye molecules resulted in the formation of initial supramolecular complexes which further progressed into strong aggregates, leading to precipitation of dye-biomaterial complexes. Subsequently, the overall complex mechanism of dye removal was confirmed to be a combined process of adsorption and coagulation. Consistent with the batch studies, using selected plant material in real environmental water samples also resulted in effective dye removal, highlighting its potential for use in wastewater treatment. © 2015 Elsevier B.V. &apos;Green waste&apos; (food, agro-industrial and forest residues) is a renowned valuable resource of polyphenols. Natural polyphenols are relatively efficient in the clean-up of environmental pollutants based on their unique traits of chelation, adsorption, reduction, complexation, nutrient cycling, antibacterial effects and plant growth promotion. These significant traits have found emerging applications in the removal of heavy metals, pathogenic bacteria and dyes from contaminated soil and water through existing bioremedial techniques such as biosorption, phytoextraction and coagulation. Increasingly, polyphenol-rich natural extracts harnessed for green nanoparticle synthesis (production of particles between 1 and 100 nm in size using biological entities such as microorganisms or plant biomass) have found promising use as a remedial agent in the detoxification of toxic pollutants. However, current bioremediation approaches do not sufficiently exploit natural polyphenols, which are abundantly available and are non-toxic. This review examines the extent of natural polyphenol availability in green waste, and provides a critical view on the existing remedial options, knowledge gaps and hence scope for future research. It highlights the use of natural polyphenol-rich green wastes as nanofertilizers, bioamendments, biofilters and bacteriostats. Field application strategies such as microbe-assisted phytoremediation, bioaugmention and biostimulation are also emphasized, showing the multifunctional biotechnological potentials offered by natural polyphenols. © 2015 Elsevier B.V. Irrespective of the nature of contamination, the use of total contaminant loading as a measure of risk together with conservative policy guidance is proving major stumbling block towards remediation of contaminated sites. The objective of this study was to investigate the use of risk based approach to manage contaminated sites at field scale. This study recognizes the presence of weathered hydrocarbon compounds in long-term total petroleum hydrocarbon (TPH) contaminated soils and that such compounds may not pose risk to local receptors. A multispecies ecotoxicological assessment was used to determine the potential risk from weathered hydrocarbons to the surrounding environment. The ecotoxicity of soil residual TPHs was evaluated using earthworm, water-flea, two native and two non-native Australian plants, and soil microbial activity. Plant germination was 100% in all soils but post germination, seedlings except Ryegrass failed to establish. Earthworm toxicity studies found that there was a negative impact on earthworm reproduction and mortality. Further investigation of the poor plant growth and earthworm mortality revealed that it was due to the elevated salinity that developed due to surface evaporation of the saturated calcium sulphate and not residual soil TPHs. Toxicity assessment of the soil leachate on the aquatic environment showed no effect on the survival of water-flea even though the TPH concentrations in the first year leachate were as high as 1.6 mg TPH L -1 . The study concluded that the residual TPHs in soils had little impact on a range of environmental receptors. Assessment of the residual TPH ecotoxicity was complicated by the elevated salinity of stockpile soils which impacted on the earthworm and phytotoxicity assessments. Therefore results of this study suggest that it is paramount to focus beyond target contaminants while implementing risk-based management approach. Indicators for risk based assessment are considered critical for regulatory decision making. The results of this study provide a valuable input in to the risk based management of contaminated sites. © 2013, Springer-Verlag Berlin Heidelberg. Bioavailability has been used as a key indicator in chemical risk assessment yet poorly quantified risk factor. Worldwide, the framework used to assess potentially contaminated sites is similar, and the decisions are based on threshold contaminant concentration. The uncertainty in the definition and measurement of bioavailability had limited its application to environment risk assessment and remediation. Last ten years have seen major developments in bioavailability research and acceptance. The use of bioavailability in the decision making process as one of the key variables has led to a gradual shift towards a more sophisticated risk-based approach. Now a days, many decision makers and regulatory organisations ¿more readily accept¿ this concept. Bioavailability should be the underlying basis for risk assessment and setting remediation goals of those contaminated sites that pose risk to environmental and human health. This paper summarises the potential application of contaminant bioavailability and bioaccessibility to the assessment of sites affected by different contaminants, and the potential for this to be the underlying basis for sustainable risk assessment and remediation in Europe, North America and Australia over the coming decade. © 2015 The Authors Accumulation and enrichment of heavy metals in the above ground parts of Australian native Acacia pycnantha (Ap) and Eucalyptus camaldulensis (Ec) growing in an abandoned copper mine located in Kapunda, South Australia have been studied. Cu and other metals (Na, Al, K, Ca, Fe, Zn, Cd and Pb) in plants and corresponding soils were analysed to evaluate plant interaction with soils containing heavy metals. As per the total metal analysis of leaf and corresponding soil samples, Ap accumulated 93.6 mg kg-1 of Cu in leaf while the corresponding soil concentration was 1632 mg kg-1. The Ec accumulated 5341 mg kg-1 of Cu in leaf while the concentration of this heavy metal in soil was 65 mg kg-1 in soil. The ESEM spectral analysis also showed a high leaf concentration of Cu in Ec (7%) as against only 0.12% in Ap. The average bioconcentration factor for Cu, Zn, Cd and Pb in Ec was much higher than that of Ap. Similarly, enrichment factor was more in Ec for Cu, Zn and Pb than in Ap. In contrast, translocation factor for only Zn and Cd was high in Ap. This study points out that Ec and Ap have different stabilising potential in remediating heavy metals like Cu in mined soils. © The Royal Society of Chemistry 2015. In this study, we report a facile synthesis of shape controlled three dimensional hydroxyapatite nanostructures (HAp) using a sacrificial thermoplastic polyurethane (TPU) nanofiber template. The TPU nanofibers synthesised using an electrospinning process were used as a template during the HAp synthesis through a precipitation process. Various HAp morphologies including distinctly placed cylindrically porous HAp architecture, coral reef like, tightly packed fibrous sheet like and nanofiber like were synthesised using the TPU nanofiber template. All the synthesised HAp were characterized using appropriate techniques like Fourier transform infrared spectroscopy (FTIR), X-ray diffraction (XRD), field emission scanning electron microscopy (FESEM) attached with selected area electron diffraction (SAED), energy dispersive X-ray spectroscopy (EDS) and X-ray photoelectron spectroscopy (XPS). The morphology, pore arrangement and the particle size of the HAp varied significantly with varying dimensions of the template and the template available per unit area of HAp. Hence, we have achieved four different 3D HAp morphologies using a single type of TPU nanofiber template. The TPU templated HAp nanostructures were more biodegradable than the control HAp. Bioavailability has been used as a key indicator in chemical risk assessment yet poorly quantified risk factor. Worldwide, the framework used to assess potentially contaminated sites is similar, and the decisions are based on threshold contaminant concentration. The uncertainty in the definition and measurement of bioavailability had limited its application to environment risk assessment and remediation. 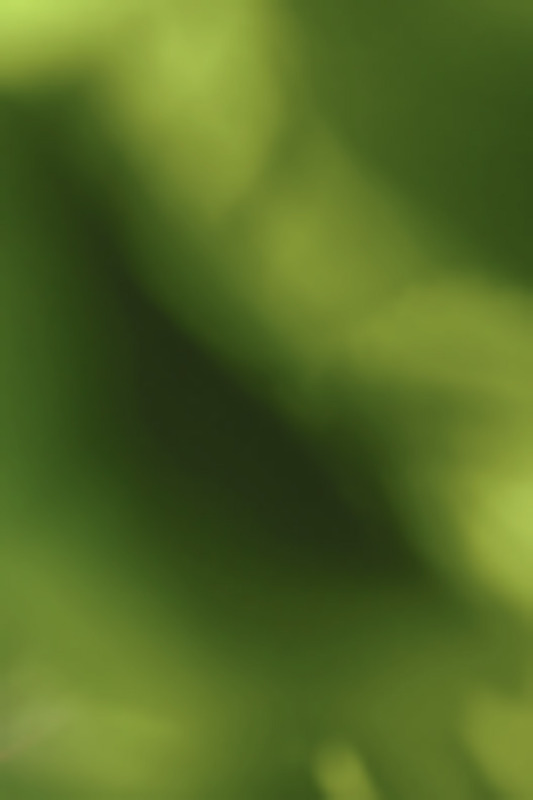 Last ten years have seen major developments in bioavailability research and acceptance. The use of bioavailability in the decision making process as one of the key variables has led to a gradual shift towards a more sophisticated risk-based approach. Now a days, many decision makers and regulatory organisations &apos;more readily accept&apos; this concept. Bioavailability should be the underlying basis for risk assessment and setting remediation goals of those contaminated sites that pose risk to environmental and human health. This paper summarises the potential application of contaminant bioavailability and bioaccessibility to the assessment of sites affected by different contaminants, and the potential for this to be the underlying basis for sustainable risk assessment and remediation in Europe, North America and Australia over the coming decade. © 2013 Springer-Verlag Berlin Heidelberg. The efficiency of bacterial isolates to reduce nitrate from synthetic nitrate-rich water was tested using a batch scale process. Two efficient nitrate reducing bacterial species were isolated from water samples collected from Kodaikanal and Yercaud lakes. Bacterial analysis of the samples revealed the presence of nitrate reducing bacteria belonging to the genera Pseudomonas, Bacillus, Micrococcus and Alcaligenes. Among the isolates, the consortium of Pseudomonas sp. KW1 and Bacillus sp. YW4 was found to be efficient in nitrate reduction. Influences of various carbon sources, incubation temperature and pH on nitrate reduction from synthetic wastewater were also studied. The results showed a rapid and efficient process of nitrate removal (99.4%) from synthetic wastewater supplemented with starch (1%), inoculated by bacterial consortium (Pseudomonas sp. KW1 and Bacillus sp. YW4) at incubation temperature of 30 °C at pH 7. This observation has led to the conclusion that the bacterial consortium was responsible for nitrate removal from synthetic nitrate-rich wastewater. © 2008 Elsevier B.V. All rights reserved. Funding body: TMK Eng. Pty Ltd.